Compare apples to apples when you’re evaluating a pump’s efficiency. 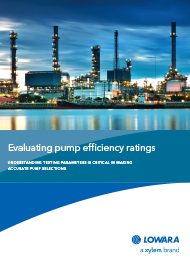 Our new white paper will show you how to make more accurate comparisons between pumps, so you can avoid purchasing a lemon. Copyright 2017 Xylem. All rights reserved.